Did U.S. Know About N. Korea's Enrichment Plant? November 22, 2010  Word that an American scientist was shown North Korea's sophisticated uranium enrichment facilities is raising questions: Why didn't the United States stop Pyongyang's enriched uranium program when it had the opportunity? Might North Korea further enrich the uranium to weapons grade? Will North Korea proliferate its nuclear equipment, know-how and/or fuel to other countries believed to want nuclear arsenals? 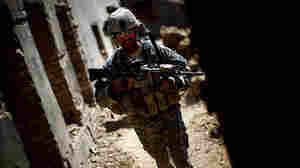 October 29, 2010  In Afghanistan there have been intense debates between the Karzai government and officials from the U.S. and other nations over the private security companies that help guard development and reconstruction projects. 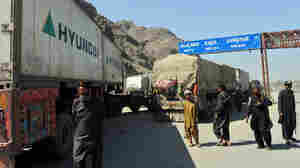 Karzai wants the firms to leave. October 22, 2010  When Afghan President Hamid Karzai said he was holding talks with Taliban leaders this week, his spokesman was quick to clarify the remarks: talks about talks, not actual "talks." The Taliban altogether denied it. There's an underlying issue of trust -- the government broke promises to protect insurgents who laid down their arms. Still, a council was formed to facilitate formal talks. October 20, 2010  The Afghan election commission has thrown out nearly a quarter of the ballots from last month's parliamentary elections, on grounds of fraud. More than 200 (of more than 2,000) candidates are also under investigation for alleged efforts to skew the results. But overall, analysts say the parliamentary vote was an improvement over the presidential election in 2009. October 7, 2010  A U.S. helicopter airstrike last week inside Pakistan that killed at least two Pakistani soldiers has frayed relations between Washington and Islamabad. Pakistan may be a key U.S. partner, but the alliance has long been fragile and marked with mistrust. 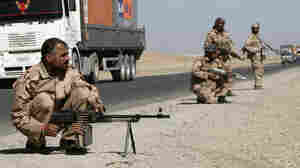 September 23, 2010  The U.S. surge strategy in Afghanistan is under new scrutiny as 2010 recently became the deadliest year for U.S. and coalition troops there. 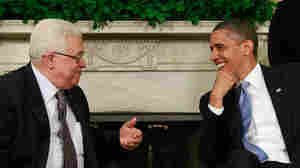 Intended as a bold new push, Obama's plan has faced major setbacks, fueling debate over whether the effort is worth it. September 9, 2010  With delegates from the Workers' Party believed to be gathered in the capital Pyongyang for a political conference, North Korea watchers are saying a leadership change could be in the works. But the meeting is cloaked in secrecy, making it difficult for outsiders to determine where the nuclear-armed country is headed. How Do You Solve A Problem Like Hamid Karzai? 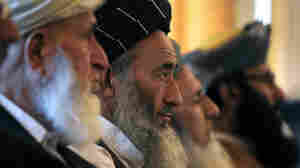 September 4, 2010  Relations between the U.S. and the Afghan government are becoming severely strained again. Recent moves by Afghan President Hamid Karzai have both surprised and provoked concern in Washington, but options on how to deal with the Afghan leader are limited. 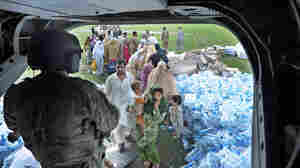 August 10, 2010  As flooding in Pakistan worsens, the U.S. and Pakistan's government are battling poor weather trying to reach victims in remote areas. But charitable organizations associated with Islamist militant groups are already there supplying aid. August 5, 2010  The Obama administration is trying to revive direct peace talks between Israel and the Palestinians. But Palestinian leader Mahmoud Abbas is resisting entering into talks until there is a clearer sense of Israel's end game on issues such as borders, refugees and security. July 26, 2010  A U.N.-backed tribunal ordered Kaing Guek Eav, known as Duch, to serve 19 years in prison. The court shaved 11 years he's already spent in detention from the sentence and five more for being illegally detained by a military court. Duch ran the notorious Tuol Sleng prison, where some 16,000 Cambodians were tortured and killed during the four-year reign of the Khmer Rouge in the 1970s. July 26, 2010  A U.N.-backed war crimes tribunal sentenced a Khmer Rouge prison commandant who oversaw the deaths of at least 12,000 people to 35 years in prison. But he will serve only 19 years of the sentence. The court shaved off 11 years for time already spent in detention and five more for being illegally detained in a military court. July 22, 2010  After stops in Islamabad, Kabul and Seoul, Secretary of State Hillary Clinton winds up her weeklong diplomatic tour in Hanoi, for this year's meeting of ASEAN. On her agenda for the meeting of Asian and Pacific leaders is North Korea and Myanmar. July 21, 2010  The U.S. is imposing another round of sanctions against North Korea. The announcement came Wednesday as U.S. Secretary of State Hillary Clinton and Defense Secretary Robert Gates met with their counterparts in South Korea's capital, Seoul. July 20, 2010  U.S. Secretary of State Hillary Clinton is attending a donors' conference in Kabul, Afghanistan, along with representatives of 70 nations in an effort to shore up the country.